Why not celebrate your Stag or Hen weekend in style! What could be better than Friday night spent at Gunwharf Quays with all the bars, restaurants and nightclub then off for a sail in the Solent to clear the head the next morning! Enjoy a sail across the Solent to Cowes on the Isle of Wight which features bars and restaurants for the Saturday evening before the Sunday sail back. Our packages come with a Skipper onboard to teach you the ropes so you’ll be sure have a great time safe in the knowledge that our experts are on hand! 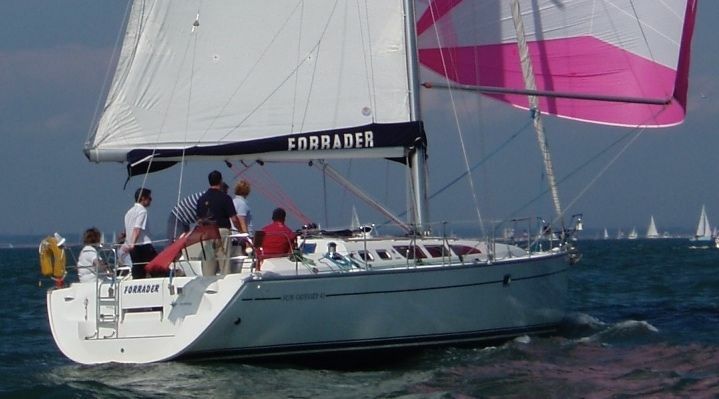 Our 8, 10 and 11 berth (accommodation) yachts are ideal for weekends away for larger groups. Our Elan 434 can take up to 12 clients plus skipper for day sailing so together with an overnight stay at a B&B for some, this creates a good solution for extra people not wishing to stay onboard overnight. We include foul weather gear on skippered stag & hen weekends, a potential saving of £150 when comparing with other charter companies.